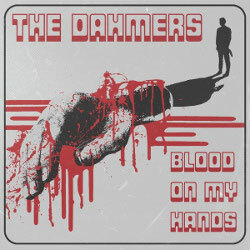 The Dahmers are back with their new horror garage single Blood On My Hands. The single is the title track from the bands upcoming three tracks 7" EP that will be released by Lövely Records this autumn. 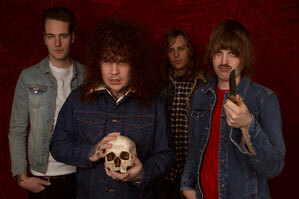 The band have previously released the EP Terror On Wheels and their debut album Demons and did their first european tour in march 2016. The band combines the best parts of Swedish rock n roll with American garage rock. The band comment the track: "Inspired by Psycho and Jekyll & Hyde, the song is telling the horrific story of a schizophrenic murderer trying to cope with himself and reality. As melodic and horror influenced as always but with a rawer surface this three minute slasher will find its way to your brain and cut it in half, marking you for life."